The Innokin Kroma-A 75W & iSub B PLEX 3D Starter Kit is an exemplary vaping system, featuring a visually striking aesthetic, comprehensive temperature control suite, and is paired with the Innokin iSub B Sub-Ohm Tank utilizing the latest coils from I.. The Vandy Vape APOLLO 20W MTL Starter Kit is a compact vaping creation, blending together elements of practicality, functionality, and a sleek tactical design integrating 900mAh internal battery and a mouth-to-lung atomizer system. The Vandy Vape AP .. Introducing the new member of the ATOPACK series, Joyetech ATOPACK Magic. This time we adopted the innovative coil-less NCFilm heater into a pod system in a creative way. The NCFilm heater supports long life-span with huge vapor production. Having 13.. The Elven is a new sleekly designed pod vape by Eleaf, having beautiful and durable metallic finishes. You’ll get different air inflows from the Elven by inserting its cartridge into the battery in two ways. This pod features an easy side-fill soluti..
iStick Pico X The iStick Pico X retains a small sized box mod while upgrading with a new intelligent coil protection function. Having an ergonomic design with a rubberized grip, the iStick Pico X gives you a comfortable and smooth feel when you hold..
LUXE combines elegant aesthetic with beastly power. LUXE's 2” full-view TFT screen with touch panel gives you a much wider and smoother space to play. The Insta-Fire technology you've come to know and love delivers 0.001s firing rate. Our OMNI-Board .. The Tigon kit is a pocket friendly device which is both easy to use and is an excellent performer. The kit comprises of the Tigon top fill tank and an 1800mAh battery. The Aspire Tigon tank is a compact design that is either MTL or restricted DL cap.. The iStick Amnis with GS Drive, a sleekly designed and ultra portable kit, presents an astounding vaping experience with the purest flavor by utilizing a new GS Air M (mesh) coil. The iStick Amnis features a rubber paint finish giving you a softer an.. The Falcons One Tank Kit is a perfect choice for beginners who want a device that combines small size and good performance. The Falcons Mod has an ergonomic design and unique colorful looks and a built-in 2000mAh battery. The Falcons Mod features a v..
Αfter Minifit's enormous success, JustFog introduces the C601 which is another Pod device with unique usability and performance features. The C601 is very small but very easy to operate. The presence of a rotating support allows the device to be su..
A small pod system, that will satisfy every vaper. If you are now entering the world vaping, this sleek, small and easy to use device is ideal for you. If you are already a vaper and you are looking for a second reliable, compact device with impressi..
Joyetech Teros Kit Presenting Joyetech TEROS all-in-one pod system with draw activated firing mechanism. Powered by ECO technology, it offers you long using time. Discard the fire button, simply vape on it. Featuring an intuitive refillable cartri..
Innokin EQ Kit Instructions: Innokin EQ Kit is a ultra portable kit with built-in 800mAh battery and 2ml juice capacity, whose user experience is as pleasant as traditional smoking. It supports regular mode and boost mode, and one-button operation..
Just Fog - MiniFit Kit Justfog Minifit Vape Pod Kit is super portable, compact vape mod for easy to carry. Powered by an internal 370mAh battery as well as battery Protection Funtions. 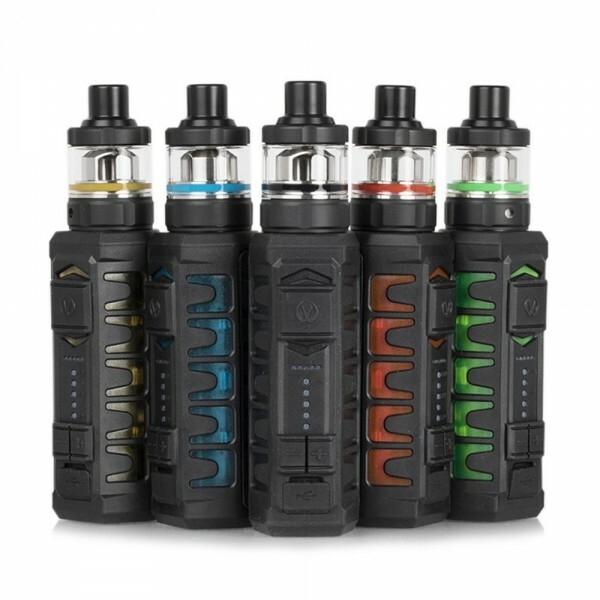 Minifit Kit is crafted with high-quality Polycarbonate constru..
Innokin Endura T20s You’re going to love the long lasting & beautiful colored finishes! The Endura T20-S is initially available in Standard Black and Stainless Steel finishes. In addition we have new rubberized texture in beautifully finished ..
Eleaf GS Basal Kit Breaking away from the norm, Eleaf BASAL boasts a remarkably compact profile and an extraordinary visual appeal. Its all-metallic finishes are both beautiful and durable. Equipped with a 1500mAh internal battery, the BASAL is ..
eCig Zircon Kit 50W Introducing the best portable vaporizer ever. Being all-in-one style, the eCig Zircon 50W starter kit skillfully integrates a 1500mAh built-in battery and a 3.5ml/2.0ml atomizer into one solid vape pen. 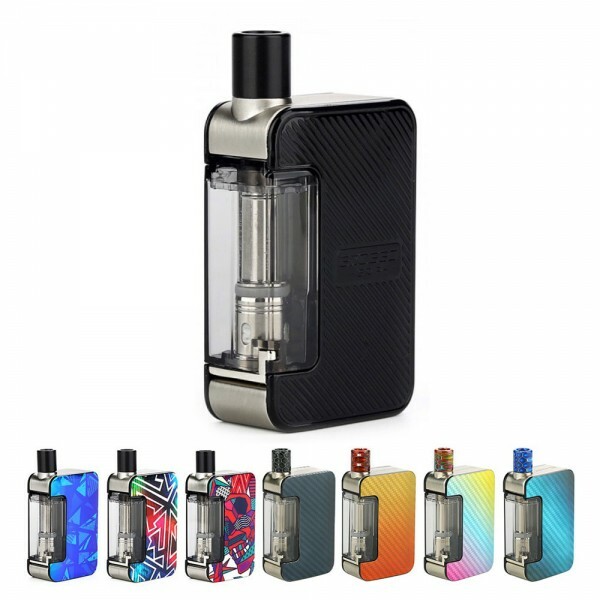 It has a flip to open fi..
eCig Complet 50 eCig Complet 50, being all-in-one style, attaches the innovative anti-leaking structure with 2ml e-juice capacity. It is powered by a 2100mAh built-in battery. Childproof structure is applied, simply twist the cap with pressure. It..